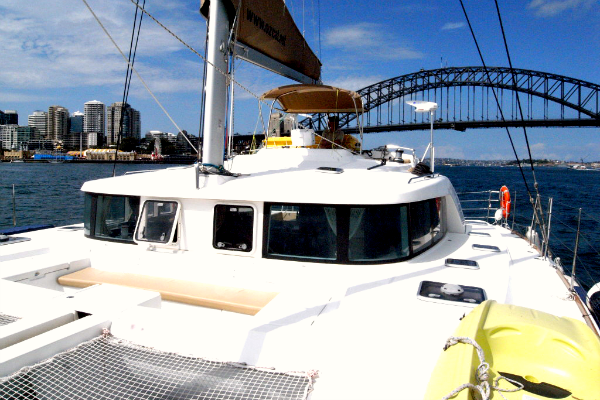 Hestia is a very stable yacht, well-equipped to ensure your party, corporate event or family occasion gets started with style.The boat was built for sailing around the world in comfort (and has) but is just as happy cruising around Sydney Harbour or nearby. 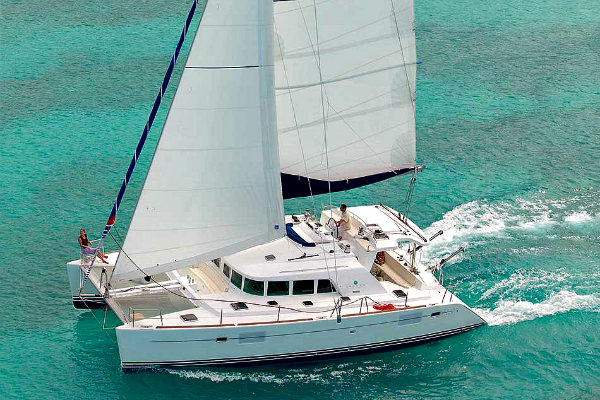 Hestia is spacious throughout and is smartly designed, enabling you to walk around the yacht with ease. She offers excellent visibility with its wrap around windows allowing you to see almost 360 degrees when seated in the saloon. 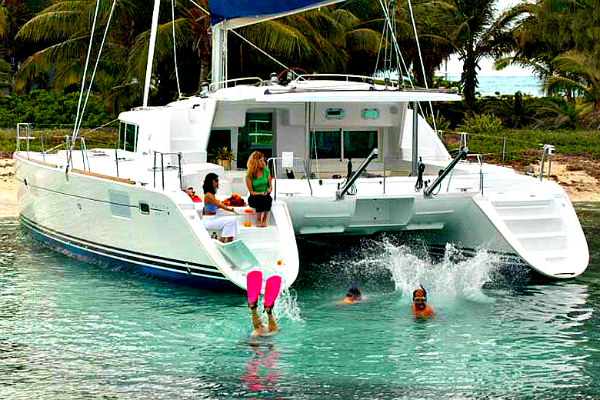 Lots of hatches and open spaces makes the yacht a pleasure to be on. 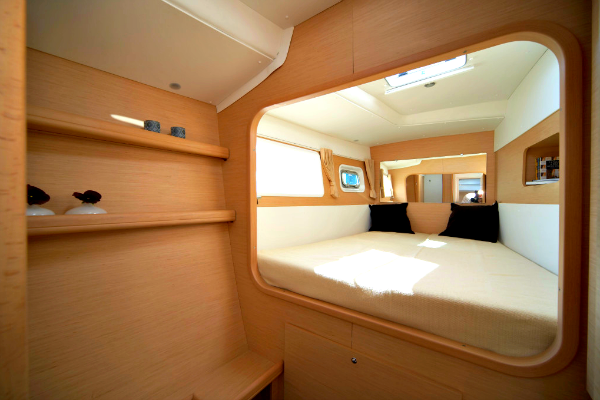 Hestia has 4 queen sized cabins, each with ensuite (shower, vanity & toilet) including a large hatch, port hole & large one way window and 2 crew bunks forward. 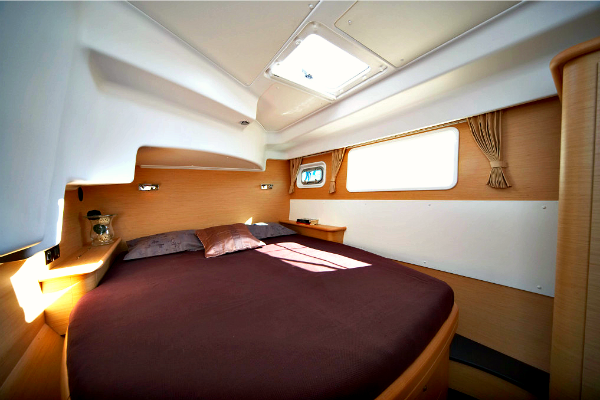 The aft cabins are fit for royalty with their queen-size central bed and large hull fixed windows bring in lots of natural light. 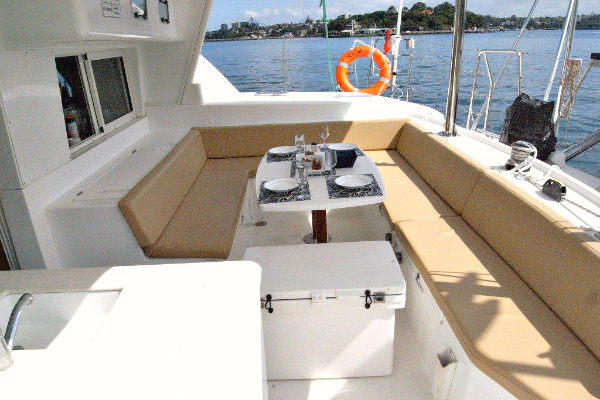 There are seating options on the yacht for up to 33 people for a buffet or cocktails. 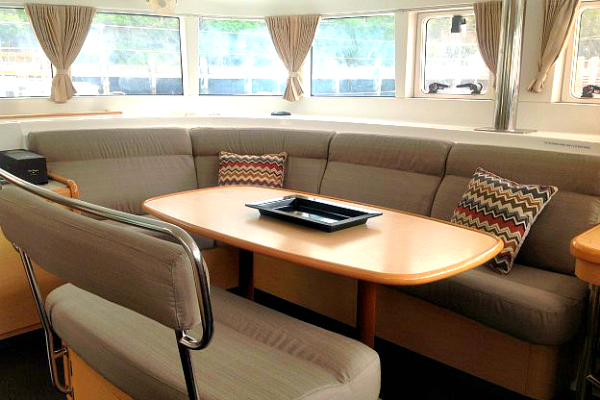 We can organise a formal sit down dinner for up to 14 people in the saloon and the aft cockpit areas. 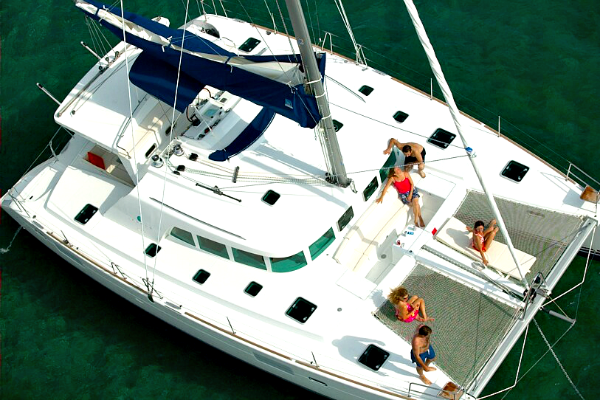 The spacious aft cockpit is protected under a rigid bimini top for protection against the sun & weather. For a relaxed cosy meal, the Hestia seats up to 20 guests in these two areas. Hestia does have a small boat oven & microwave which can be used upon request (prior notice required). Whilst the boat is equipped with this equipment for a small group, they are not suitable to cook or heat up a large quantity of food for over 8 people. The BBQ is much better at cooking food for large numbers of guests which the skipper will cook for you so guests can concentrate on having fun. Large pieces of meat e.g. legs of lamb, whole turkeys etc are really not appropriate to cook on board in the limited time available so please avoid bringing them. Pastries & pies are not ideal to cook on board. If you wish to have us cook this type of food please give us some advance warning so we can discuss it with you and the quantities involved. We request all food brought on board has been defrosted and is ready to cook so that it can be cooked and consumed on a 4-hour charter. Minimum order for 30 passengers, for orders less than 30 passengers a delivery charge of $50 will apply.